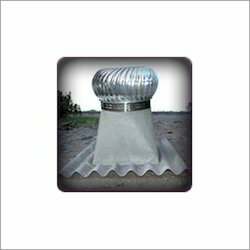 We are highly acknowledged organization engaged in presenting remarkable range of Air Ventilator. Supply and erection of Turbo Air Ventilator Diameter of Varipitch - 600mm , Height of Ventilator - 450mm , Diameter of Vent Head - 770mm , Height of Varipitch - 190mm . Pricing includes design, supply and erection of the ventilator. This price includes fiberglass roof curb to match the roofing profile. Suitable for Warehouses. Chemical storage areas, and Hot dry areas. 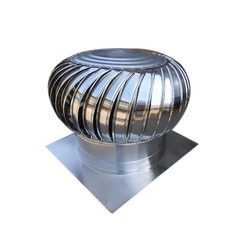 Being the well-distinguished companies in the market, we are into offering Turbo Air Ventilator. We are offering Air Ventilators to our clients. Applications	: Factories, Hotels, Workshops etc.